A lot of my posts in more recent times have been focused on how to earn more and spend less. I acknowledge they’re pretty dry topics, quite personal and certainly nowhere near as exciting as deciding should I buy the Vanguard FTSE Emerging Markets UCITS ETF or the iShares Core MSCI Emerging Markets IMI UCITS ETF for the Emerging Markets portion of my portfolio. So why do I keep coming back to the non-exciting topic of earn more and spend less? Simply because my personal journey has shown me thus far that saving has a much bigger impact on reaching Early Financial Independence or even Early Retirement than investment return. While investment Compound Interest is for sure a very important concept, particularly over the long term, and is certainly making a contribution it’s just not making as big a contribution as my saving. This is not what I expected when I started on my journey. Let’s have a look at my journey data thus far in the chart below. This chart shows for each year (2015 is only until end of March and so shows as 2014.25) the percentage contribution made to my change in wealth each year from both Saving Hard and Investing Wisely. Therefore the percentage for each year that shows as greater than 50% has been the greatest wealth contributor for that year. So in 2008, 2009, 2010, 2011, 2013 and 2014 the honour of most wealth growth contributor has gone to Saving. In contrast 2012 and 2015 year to date has gone to Investment Return. 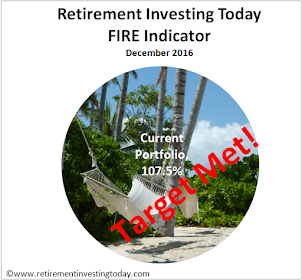 So even in year 7 of my Financial Independence Retirement Early (FIRE) journey Saving is still out in front. Of course regular readers will know my Savings Rate is quite high and I’m trying to reach FIRE quickly but I'm not going to make apologies for that. As savings rate decreases journey time to the goal, whether it’s FIRE or some other objective, should increase with an average wind which should mean that Saving will make less of a contribution and Investment return a greater one. 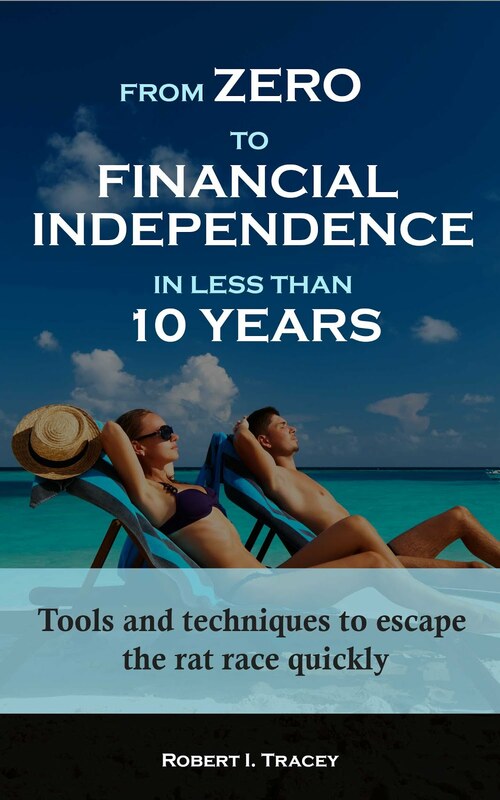 So maybe I'm just an anomaly given I'm trying to reach Financial Independence in less than 10 years. It is a really good idea to invert it like that. It makes it much easier to really cut back your expenses as putting an expense back on your monthly list is much harder to justify than it is to defend keeping it on there if it is there already. You're spot on about the importance higher savings have over better investments. That is part of the reason I found Dividend Life's idea of Work Freedom Day so great as a way of tracking progress. I adjusted it a bit so it chased you along the calendar (see http://bit.ly/1Dmw2X0 if you're interested). By using that to judge your progress you are encouraged to save and cut back harder as well as invest well: doubling the pace to FI (hopefully)! Time to go to my expenses list and start at £0, I think! I once suggested to a friend that he bring his own sandwiches to work, for lunch. He replied "Oh I couldn't put my wife to all that trouble". Them wuz the days. It is incredible that the savings rate still plays such a strong role in the growth of your investments, even years on. I think that the £0 budget works, as you challenge everything from the 'ground up' rather than trying to spot things that can be cut back or that you don't consider necessary. I guess by doing this you build up your essentials first and recognise that from there up anything else is a 'delay expense'. It's not an exercise in extreme frugality is it? Just to get into the mentality of questioning each expense? One summer we ate snails out of the garden. True we had to buy butter, but the parsley and garlic were our own too. Big savings there. Maybe it's time to do it again. Perhaps we could trap some of the muntjac, partridges and pheasants that come calling. Or keep our own chooks. Is there any variety of pig small enough to feed largely on domestic scraps but big enough to be worth the eating? Serious advice: stump up for good bacon from a butcher. Instead of eating lots of supermarket bacon in hopes of detecting bacon flavour, savour small amounts of the good stuff. Better all round. This may apply to other food and drink too. This is very disturbing comment. The most disturbing is that I am sure whether you are joking or not. What, you object to bacon from a butcher? What's wrong with you? > Is there any variety of pig small enough to feed largely on domestic scraps but big enough to be worth the eating? You need a pig club :) We get half a side of pig every so often and that's about as much as two people can manage, with freezers and whatnot. It also helps spread around looking after the pigs - they need water twice a day. "give us some of those sweet grains you have and we will help you keep your camp clean. In return you can have some of our offspring, of which we have many"
I'm also amazed the savings rate is so significant. My savings rate has dropped to zero (I have no earnings) and yet in this madcap crazy market the networth figure is still going up. 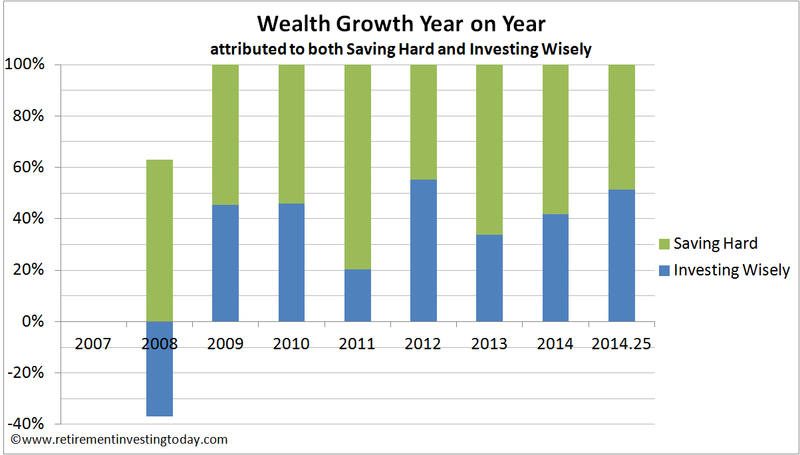 It's not real, of course, but I'm surprised it isn't pushing RIT's wealth growth harder than the savings rate by now. WhenIwasbutalad, people keeping a pig out the back was recent memory. Keeping chooks was common, as was having ferrets for going rabbiting. That was before myx reached our part of the country, of course. "Sadly feeding waste food to pigs has been banned by the EU since 2003, you would get into extremely serious trouble for that." Meat is the problem. Has any non-commercial pig owner been fined or prosecuted for giving their own domestic non-meat kitchen waste to their pig? The rules are intended to protect us from businesses transferring diseases by selling e.g. cow brains to pig farmers. I consider it our individual personal responsibility to research the facts and apply sense to EU legislation. In olden times, when a publican might keep a pig and feed it on, amongst other things, beer slops, do you suppose he also gave his pig fag ends to eat? I don't see why not. "It is incredible that the savings rate still plays such a strong role in the growth of your investments, even years on." and "I'm also amazed the savings rate is so significant." This really has been one of the biggest surprises of my journey thus far. I have pretty good historical data and so I intend in the near future to try and find out why this is the case for me but doesn't seem to be a topic for other PF Bloggers. I have a couple of hypotheses but I want to confirm it with data first. If I can find out why I'll be sure to post about it.